With the advancement of technology in our age today, connecting to other individuals around the world is made easier. Convenience is what this emergence brings to all, most especially with online dating and matchmaking services. Hundreds of marriage agencies lurking in the internet are already searchable to attract users in finding someone to love beyond their borders. Now, with the rise of demand by potential clients, what kind of services or site should one consider using? In the dating and matchmaking industry of Nikolaev, some of the many sites that have made an impact are Craigslist and City of Brides. Although these sites have the same operations, there are still major differences which could change one’s decision in choosing for the right service. Craigslist is an American classified advertisement company catering sections such as sales, gigs, housing, jobs, and services. One of the sections in Craigslist is the personals section which is where the dating and meeting of men and women come in. 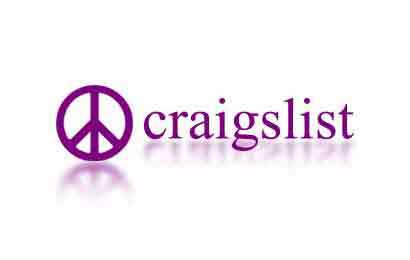 A number of personals may have experienced the good side of Craigslist, especially its dating services; however, negative reviews were also thrown against it. In Craigslist, the personals themselves are the ones who post and hold their accounts when it comes to online dating or matchmaking services. This will tell you that no host company is accountable if problems may arise while using the service. Aside from this, scams have become a rampant issue in Craigslist. One of the leading issues about the lack of company name is the security of users. One should be aware of the glaring outcome when talking about personal safety. All the profiles you can see here are not guaranteed to be real or authentic. You cannot verify these profiles easily because it’s easy to download pictures and use them in the account. They can use this in their scamming purposes. This is something everyone should avoid bumping into. Considering that your personal security is at stake, meeting someone from Craigslist is something which cannot be relied on. Cases like scamming, kidnapping, and even murder have been recorded due to Craigslist meet-ups. This might not happen too often, but chances of it happening in your side is of great matter you should take into account. City of Brides is part of one of the most respected foreign singles introduction and tour services in the world. The company was founded in 1995 and is considered as among the very first international online matchmaking companies. It aims in bridging gaps between foreign men and Nikolaev personals. It advocates true love and lasting relationship to both parties. This site is supported by our local staff in Nikolaev. They make sure only marriage-minded and sincere women get to join the service. City of Brides is a specific company name carrying with its own kind of matchmaking service. This guarantees security to all of those taking part and subscribing on the site. Important information about the company are provided for your convenience. This will also give you an assurance that all the services given from our site are legit and real. Thousands of clients are at ease while availing the offers of this matchmaking agency. In City of Brides, all the profiles of the Nikolaev singles have been personally verified by our local staff. This says that the pictures you can see in our women’s page are authentic and real. They are exactly the same women you can see if you fully decide to meet them up or join our tours. The company offers singles tour services for men who like to meet Nikolaev single women in personal. This site offers tour packages which include proper accommodations and social gatherings to officially meet and greet with the women. It may come with a price, but security is well-guaranteed to our clients; this will be the same thing to you once you sign up. You have nothing to worry about since we have managed to put your safety first. You will never doubt to meet these women since we only have the cleanest service you can ever imagine. City of Brides is a legit matchmaking site having the sole purpose of bridging the lives of foreign men and Nikolaev women, and helping foreign men to hopefully find true love. On the other hand, Craigslist tends to attach individuals using their dating service but their security is a bit risky. All personals should always take into account the safest and most trusted site to use, and that is the site which has been on operation for over two decades and successful services---City of Brides.